Home Education Rashtriya Sanskrit Sansthan CSAET 2019 – Combined Shiksha Acharya Entrance Test for M.Ed. 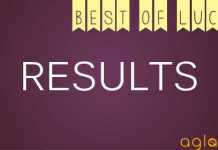 CSAET 2019 – Combined Shiksha Acharya Entrance Test for M.Ed. Admit Card for CSAET 2019, Combined Shiksha Acharya Entrance Test for M.Ed., has been issued by the Rashtriya Sanskrit Vidyapeetha, Tirupati. 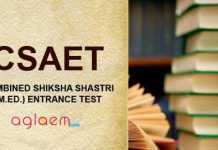 The Combined Shiksha Acharya Entrance Test (CSAET 2019) is an M.Ed entrance conducted for the admission to the three deemed Sanskrit universities, namely SLBS Rashtriya Sanskrit Vidyapeetha (New Delhi), Rashtriya Sanskrit Sansthan (New Delhi), Rashtriya Sanskrit Vidyapeetha (Tirupati). An entrance test will be conducted to select the candidates for admission. The merit list of the Entrance Test will be prepared separately for each university. All three Universities will give admission according to their own admission policy. 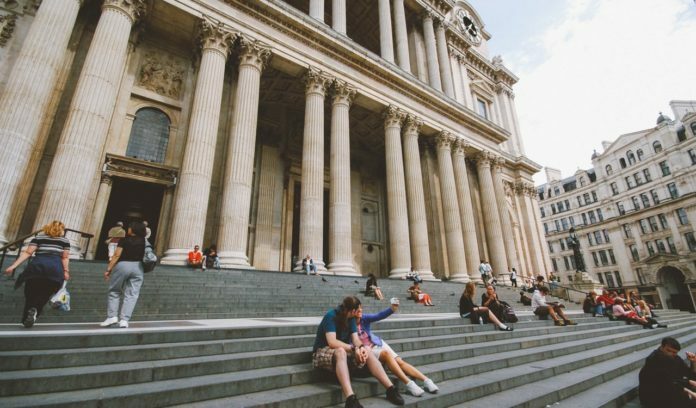 Check more details about CSAET 2019 here. Latest: Admit Card of CSAET 2019 has been released, click here to download the same. The CSAET 2019 Application process has begun from January 21, 2019. Interested candidates have to fill and submit the application form and fee before the last date otherwise their applications will be rejected. 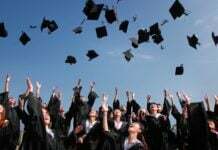 Persons who have obtained Degrees/Diplomas/Certificates from Universities/Institutions recognized by the Govt. of J&K/UGC would be eligible for employment in Central Govt. & other States. As the NCTE Act does not cover the issue of admission in institutions for higher qualifications, the eligibility of persons with degrees from institutions in J & K will not be governed by the provision of the NCTE Act but by the relevant laws/rules/regulations of the Respective States/Universities. At least 50% marks in both theory and practical papers separately and 50% marks in the aggregate are required in Shiksha Shastri./B.Ed.(Skt.) Methodology. For candidates belonging to Scheduled Caste/ Scheduled Tribe/ otherwise able categories, 5% relaxation will be allowed in the minimum pass percentage required for admission. i.e. 45% in each section and 45% in aggregate. Minimum age limit for appearing in the entrance test must be at least 22 years as on 01 Oct., 2019.
websites of Rashtriya Sanskrit Sansthan, New Delhi, Rashtriya Sanskrit Vidyapeetha, Tirupati and Shree Lal Bahadur Shastri Rashtriya Sanskrit Vidyapeetha, New Delhi. Candidates are advised to carefully check the eligibility criteria before applying. Candidates will be able to download the admit card for the examination from the official website from April 25 2019, In case you do not get the Admit Card before Examination date, you may check the Website and find out the Roll no. and name of the Examination center from internet and contact the center. one hour before the examination with two photographs along-with the prescribed form filled in. Fill the application form only if you consider yourself eligible for it. Do not fill more than one form. That will cancel your candidature for the test. The combined (M.Ed.) Entrance Test will consist of a question paper in two parts. Part A will consist of four sections. For each question, four choices of the answers shall be provided. Out of those, only one will be the correct answer. Only one answer is to be marked(z). If more than one answers are marked for any question, it will be treated as invalid and no mark will be awarded for such an answer. All the questions will be in Sanskrit. Rs. 6000/- for Second Year. Education is free, but for other expenditure a candidate will have to pay fees at the time of admission as per rules of the Rashtriya Sanskrit Vidyapeetha, Tirupati. For whatever miscellaneous expenditure is to be done on matters related to training activities have to borne by the student. Hostel with mess facilities are available for eligible students. Apart from programme admission fee, hostel and mess fees are separate. Note: In case of non-availability of OBC candidates the seats will be filled up from the General Category candidates. Note: Candidate who belongs to any of the above reserved categories should bring a certificate of their category duly attested by a Gazetted Officer at the time of admission in Vidyapeetha. Failing which the eligibility will be rejected. In case of non-availability of such candidates, the seats will be filled from the general category. The allotment of the center for examination shall be done as per information given by the student. Once the center for examination is allotted, it will not be changed. The candidate has to appear at the allotted center only. candidates, not securing 50% marks in first part, will not be evaluated. CSAET 2019 Admit Card – Released!